Experienced Lawyers in Family Law, Divorce, Adoption, Estate Planning, Probate, Criminal, Traffic, Bankruptcy, Business, Personal Injury, Civil and Education Law. Our Attorneys practice in the Akron, Canton, Portage and Summit County, Ohio area. Under the leadership of our partner attorneys, Attorney Corinne Hoover Six, Attorney Joseph Kacyon, and Attorney Tad Orval Hoover, the law firm of Hoover Kacyon, LLC is focused on the areas of life most important to you–family, business, asset protection and financial planning and education. Whether your family is at an unfortunate crossroads of a divorce, child custody or family law issue, or you need legal services for your business, or help dealing with a financial crisis or debt issues, we are committed to being your legal advocates, and your counselors in your time of need. The quality of services provided by the lawyers at Hoover Kacyon, LLC will give you confidence that in whatever your legal situation, our attorneys will guide you and carry your burden, allowing you to focus on your day to day tasks of providing for your family and living your life to the fullest. We will handle your situation professionally and diligently as your attorneys, and offer you guidance as your counselors at law. As a multi lawyer law firm, we provide unique attention to your case. Our client matters are handled with a team approach, meaning you just don’t hire a lawyer, you hire a team of legal professionals who will protect your interests. Unlike larger firms, you do not get lost or have your questions go unanswered because someone is too busy to return your call. Unlike single attorney firms, your matter will never be hurt because an attorney is sick or on vacation, someone will always be taking care of your case. Our team of attorneys and support staff ensure we are always available to you and provide undivided attention. The law firm of Hoover Kacyon, LLC has one overarching goal — to fight for your cause, protect your interests, provide reasonable and prompt resolutions to your matter, and to do it all with professionalism and honor. For most of us navigating the legal system is not something we are comfortable with. In fact, often times people need lawyers when they are dealing with a very difficult issue in their life and are anxious and unsure about where to turn. The Akron attorneys at Hoover Kacyon, LLC will take on your case, and the worry that goes with it, so you don’t have to be anxious. We offer assistance to our clients during the most difficult times in their lives, and we understand the enormous amount of trust you place in us. Our attorneys pledge to handle your case with compassion, clear communication and strong guidance. The law firm of Hoover Kacyon, LLC is devoted to both litigation and settlement. We are confident in the courtroom but also encourage alternative dispute resolution such as negotiations and mediation. Our attorneys pride themselves on educating our clients on all of the legal options for resolution and are prepared to proceed with whatever course of action you choose. The law firm of Hoover Kacyon, LLC was formed in 2016 with the goal of being a full service law firm, able to handle all of your legal needs at one firm. Previously, the lawyers of our team were two firms; Attorneys Corinne Hoover Six and Tad Orval Hoover ran Hoover Six and Associates in Cuyahoga Falls and Attorney Joseph Kacyon operated Joseph Kacyon and Associates in the Portage Lakes area of Akron. Hoover Kacyon, LLC was developed as both respective practices had too demanding of a case load to continue to handle client needs without further growth and expansion, and also because we found ourselves needing to refer many clients to other firms for additional needs. Both practices practiced extensively in the area of family law, and often found themselves on different sides of the same case. Mutual respect for one another as competent, professional and ethical opponents, who at the same time fought hard and passionately for the interests of their different clients, lead to a merger of our teams into one firm. With that merger, Hoover Kacyon, LLC was able to expand further to continue to meet the needs of our clients, both in our booming family law practice and in other practice areas where we found ourselves in increasing demand. Under the new firm of Hoover Kacyon, LLC we developed distinct practice groups, with every lawyer focusing on family law, but each also practicing in at least one other area, which allows us to diversify our practice areas for the benefits of our clients, but also to continue to work as a team to handle various client needs. The focus of our law firm is simple: Our attorneys will represent our clients passionately, competently, and in accordance with the highest legal and professional standards. Our lawyers are client driven, meaning that our clients direct the course of their own cases based on their interests, as we serve as advisors, counselors, attorneys, and a compass to ensure client wishes and behavior meet the ethical and professional demands of the legal field. Our attorneys are professionals first; we know well how to aggressively litigate cases, but we also are experienced in alternative means of resolving cases, such as settlement negotiations and mediations. We know when to fight, we know when to settle, but the most important thing is knowing the difference, based on a case by case analysis and the input and wishes of our clients. The attorneys of Hoover Kacyon, LLC are extremely knowledgeable, experienced and well versed in family law issues, including divorce, dissolution, and child custody proceedings. Under the leadership of Attorney Corinne Hoover Six, who has been certified by the Ohio State Bar Association as a Specialist in the field of Family Relations law, each and every member of our team likewise devotes a substantial area of their practice and work week to family law matters. Why have so many lawyers who focus on family law, you may ask? Because family law cases are very demanding. Our divorce and custody attorneys spend time in court each week . Our lawyers also needto be in contact with our clients when they are anxious, worried, or uneasy about their family law matters. Unlike other law practices, if you have a pressing question or need on your case, your matter will not sit unaddressed for weeks while your attorney gets around to responding to you. Instead, in the event the lead attorney on your case is unavailable immediately, another divorce or custody lawyer on our team will promptly address your family law case. The attorneys of Hoover Kacyon, LLC are proud to handle every family law matter on a team approach, as we believe this best serves the needs of our clients and the uncertainty they face in trying family times. In addition to our booming family law practice, the attorneys of Hoover Kacyon, LLC each handle at least one other practice area, so that we can meet the needs of our family law clients after their family law matters conclude and as other life events require additional legal representation. 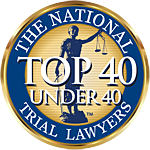 Under the leadership of Attorney Joseph Kacyon, whom has been named as a Super Lawyers Rising Star in the field of Estate Planning/Probate Practice for both 2017 and 2018, our firm handles extensive estate planning needs for our clients, including trusts, wills, powers of attorneys, living wills, and health care decision making designations. In addition, we also handle probate proceedings, including Estate Administration and Guardianships. In addition, we also handle a wide variety of civil litigation matters, including landlord-tenant issues, property disputes, real estate issues, business matters, personal injury and bankruptcy matters. These matters are handled by many members of our team, all under the leadership of partner attorneys, Corinne Hoover Six, Joseph Kacyon, and Tad Orval Hoover, each of whom has a wide range of civil litigation experience. Attorney Corinne Hoover Six has very diverse experience in civil law matters, having represented the State of Ohio as Special Counsel to the Attorney General, in courtrooms all throughout Ohio. In this capacity, Attorney Hoover Six handled matters such as tax collections and the collections of other debts owed to the State of Ohio, including the obtaining of judgments against debtors. Her experience in this role makes the firm of Hoover Kacyon, LLC uniquely qualified to handle a wide range of civil matters for clients, including, but not limited to, negotiation of debts and liabilities owed to governmental entities or others, filing of civil law suits against others who have wronged you, obtaining judgments against others, and most importantly, collecting on those judgments so you are made whole again. Attorney Joseph Kacyon has wide ranging experience in representing business clients in the start up of their business entities, as well as serving as an advisor and counselor in matters of ongoing business issues, including both the bringing of civil cases against others and the defense of clients whom are being sued. In addition, Attorney Kacyon also handles matters of personal injury, and is experienced in negotiating many out of court settlements for the benefit of our clients, as well as initiating malpractice actions against other professionals whom have failed in the duty of care they owe to our clients. Further, Attorney Kacyon is also an experienced bankruptcy attorney who can counsel and lead clients through touch times when their debts have gotten to be too much. Attorney Tad Orval Hoover has considerable experience and history in dealing with matters of real estate disputes, including landlord tenant matters. Attorney Hoover previously worked for the Summit County Fiscal Office, where he gained valuable experience in the government agency responsible for the recording and conveyances of property deeds. In addition, Attorney Hoover now represents several real estate holding and property management companies, and is also uniquely experienced in the area of landlord tenant law due to himself being a property manager for his own family’s property management company. In addition to the experience of our partner attorneys, the other attorneys on our team likewise have unique individual experience in civil litigation as well. These experiences include a history of case management support in the field of personal injury, litigating small claims issues, participating in commercial litigation and construction law issues, and representing plaintiffs in legal malpractice cases. Collectively, based on these wide-ranging experiences, the attorneys at Hoover Kacyon, LLC are more than prepared to handle your various civil litigation needs. The attorneys of Hoover Kacyon, LLC also regularly handle matters of traffic and criminal offenses. Among our team of attorneys who may work on a case of this nature include, former prosecutors, experienced defense attorneys, and a former magistrate for a mayors court. Why does this matter? Because we have handled each and every side of traffic and criminal matters and use that experience of being on all sides of a case to the benefit of our clients who are now facing prosecution. To round out our various practice fields devoted to individual clients, the attorneys at Hoover Kacyon, LLC also devote substantial parts of our practice to the larger community, representing both non-profit organizations, as well as representing school districts throughout Ohio. Under the leadership of attorney, Elizabeth Grooms Taylor, Hoover Kacyon, LLC is proud to offer competent and detailed advice to our clients on matters of non-profit incorporation, drafting of organizing documents, bylaws and articles, general counsel on management of non-profits, as well property tax issues. Attorney Taylor has vast experience in these areas of the law, and her primary focus has been the representation of school districts in proceedings before county boards of revision, the Ohio State Board of Tax Appeals, and Ohio courts, including the Supreme Court of Ohio. In addition, Attorney Taylor is also very experienced in working with a number of Ohio school districts to protect their tax base in property valuation proceedings, an essential component in ensuring our schools are well funded and can meet the needs of the most important members of our society, our children. Hoover Kacyon, LLC is proud to be a team of bright leaders in our community, focused on continuing to grow our practice for the benefit of our clients and so that we may best serve the communities where we live and work. Although often appearing young, the attorneys of Hoover Kacyon, LLC have the experience of very seasoned professionals. We have the combined experience of over 47 years. In addition, we have among us, a Certified Specialist in the area of Family Relations Law, which allows us to serve our clients at a level of elevated competency, acknowledged by the of the Ohio State Bar Association, as well as many other awards for our knowledge, experience, and client satisfaction across out practice fields.